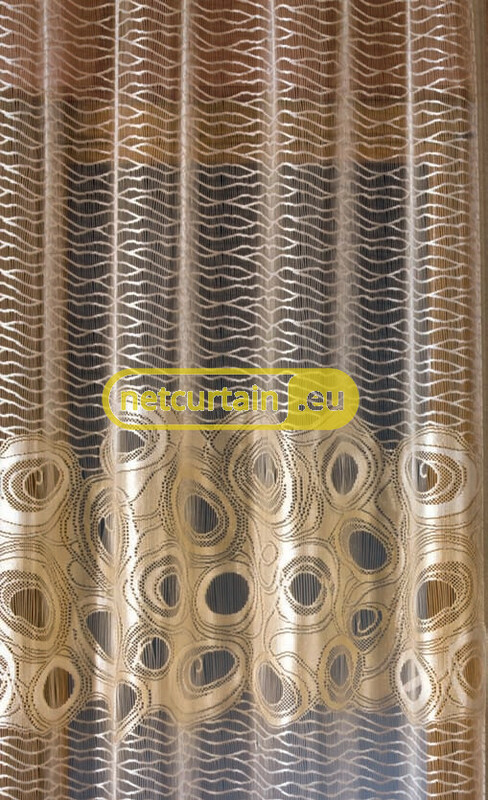 Flaxen-gold net curtain made with lustered yarn. Set of net curtains for windows and balcony windows- can be hung with curtain clips. 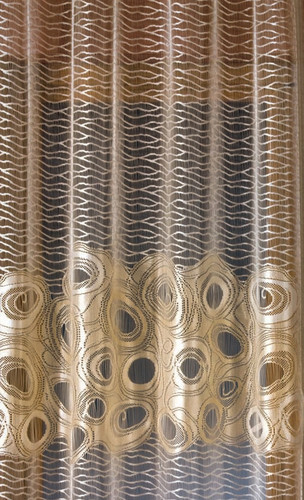 The set is perfect for curtain rod of width 200-350 cm. The heights of net curtains are 160 and 250 cm. Both heights can be shorten by 10 cm by shortening the bottom strings. Bottom strings are then shorter than on the presented photo and the pattern above them stays the same. Shortening each elements costs 2,40 € / each.